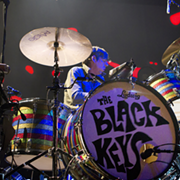 We're not gonna talk about every single TV show the Black Keys play the next few weeks. Things would just get way too crazy with that, since they're playing, like, all of them. Plus, they don't live here anymore. But since their new album, El Camino, came out yesterday, and tickets for their show at the Q in March go on sale Friday, we figured we'd share these two clips from The Colbert Report last night. 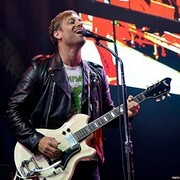 Exclusive - The Black Keys - "Gold On The Ceiling"